iCheck is a means of electronic check processing that facilitates faster funding on a wider variety of checks. It also has fewer restrictions than ACH and is quickly becoming the solution our merchants turn to for accepting check-based payments. This flexibility, also known as Remote Deposit Capture, is ideal for many sales environments. According to a 2017 Federal Reserve Payments Study, check payments have decreased 3% a year from 2012 to 2015. The estimated decline was 3.6% by number and 3.7% by value for 2016. Meanwhile, total card payment rose $103.5 billion with a value of $5.65 trillion in 2015 to 111.1 billion with the value of $5.98 trillion in 2016, according to the study. The numbers speak for themselves. Just like cash has become the less preferred way of paying for purchases, so have paper checks. Luckily, electronic checks have found their way into the mainstream, offering a payment option that satisfies consumers and businesses. Electronic checks work the same way as paper checks. Money is transferred from one entity to another but without any actual paper exchanging hands. Since no paper is involved, electronic check processing is faster and cheaper. Unlike with credit card payments, when shoppers use e-checks they aren’t subject to any additional fees and businesses don’t have to worry about costly chargebacks. Also, merchants can see funds from check sales immediately when they use iCheck, the electronic check processing service offered by eMerchantBroker.com (EMB). To begin taking advantage of this revolutionary instant check processing service, fill out EMB’s simple, online application now. In addition to specializing in high-risk merchant accounts, EMB offers personalized payment solutions that allow new and established merchants to succeed. Electronic check processing service applications are approved in 24 to 48 hours. Once approved, EMB can set up a payment gateway and fraud filters. EMB understands that merchant account services can be confusing and overwhelming, especially for newer businesses. The staff at EMB tries to take the guesswork out of obtaining services, including electronic check processing, by providing up-to-date information about payments solutions and using the most cutting-edge technology. A merchant needs only needs a computer, an internet connection, a check scanner, a merchant account, and a service provider, such as EMB, to begin accepting e-checks from customers. Electronic check processing services allows people to electronically transfer funds from their bank accounts from anywhere. When a customer chooses to pay using an electronic check, they are required to enter their bank account and routing numbers. 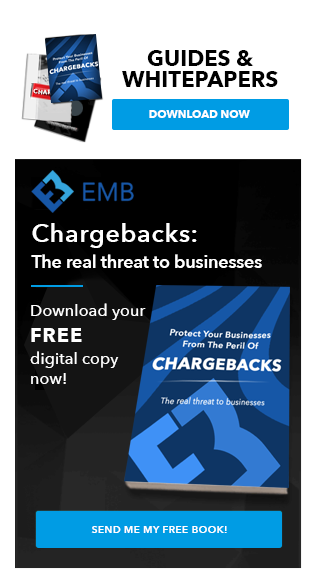 The payment gateway that the business uses transmits the encrypted information to an electronic check processing service, like the one offered by EMB. The electronic check processing service provider uses fraud prevention tools to validate the customer’s identity and to determine the risk of the transaction. The customer must authorize a payment. This can be done through a recorded voice conversation, signing a contract, or accepting a site’s terms and conditions. The merchant is notified once a transaction is accepted or declined. If approved, the funds are sent to the merchant’s account. A remote deposit doesn’t require a person to take a physical check to a bank. For the check to be processed, a digital image of a check must be scanned into a computer and then transmitted to a bank. The Check Clearing for the 21st Century Act was passed in the United States in 2003 and took effect the next year, making remote deposits legal. Electronic check processing is more convenient, offers greater availability, and decreases transportation costs and risk. Also, remote deposit offers features, such as the ability to feed internal systems, intelligent character and document recognition, and additional functionality. The speed of transactions is one of the major benefits of electronic check processing. Everything moves much quicker because it is done electronically. Merchants often see a real increase in sales when they start accepting e-checks because customers like to have a variety of options available to them. Customers also trust this type of payment more because there is less risk. Screening measures, like the verification of checking account details and reviewing the bad check database, are implemented, ensuring less fraud. Also, since merchants are charged smaller fees to process e-checks than credit card payments, electronic check processing has become a popular payment type for high-tickets items, like jewelry and electronics, and services, such as fitness memberships, electronics. Finally, electronic check processing has fewer restrictions than the Automated Clearinghouse (ACH), which is the main network that processes most of the electronic transactions in the United States. ACH has no set-up fees and a low-cost payment process but the electronic transfer of funds takes up to seven days. Also, when using iCheck, checks can be accepted at Point of Sale (POS) or when the consumer is not present. With this service, different types of checks, including personal, business, and travelers, as well as money orders, are accepted and processed Additionally, iCheck allows users to send invoices through email and distribute funds directly from a bank account. 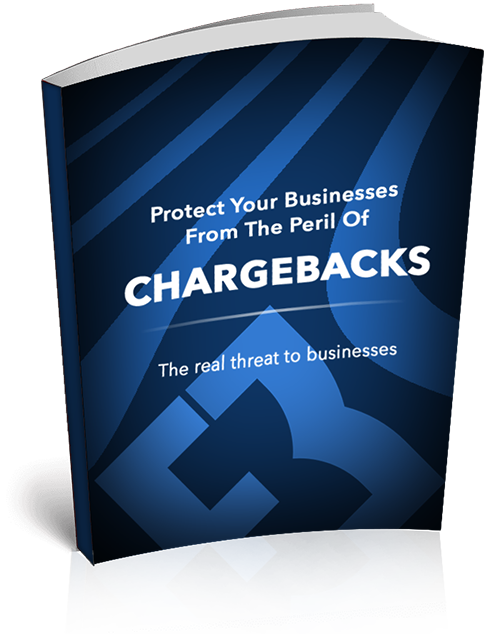 Unlike with credit card transactions, merchants don’t need to worry about chargebacks or dealing with rampant fraud. Fraud and data theft prevention have come a long way since the early days of online fund transfers. Many of the improvements are due to advances in electronic encryption. Signing up with a payment gateway for payment validation and guarantee services, like the ones offered by EMB, can minimize or eliminate the risk of receiving fraudulent checks. Electronic check processing also is a win for customers. Since there is no exchange of paper checks and all of the work is done electronically, fewer people have access to customers’ sensitive information, like bank account information. This is much safer than using paper checks. Also, there is a measure in place that protect consumer when those few bad checks slip through the cracks. Customers are protected under Regulation E of the Electronic Fund Transfer Act, which requires banks to allow consumers to revoke payments they consider fraudulent. A consumer can revoke a payment within 60 days of the bank statement that showed the fraudulent charge. Selecting an electronic check processing system is not an easy decision that should be taken lightly. There are certain things merchants should consider before they leap into agreements with processor. Most importantly, merchants need to know their budgets and whether the system selected fits into it. The system needs to match each merchant’s unique goals. Merchants should research monthly fees, transaction fees, and monthly minimums to ensure they are not going over budgets. With a little research and time, merchants will find that EMB offers everything a business needs to succeed. Electronic check processing is one of the best payment solutions for merchants that offer subscription services, charge retainer fees, or bill on a recurring basis. iCheck allows businesses to add “pay now” buttons to their websites, as well as email invoicing. Both of those features allow merchants to get their money faster. With the check-by-phone service, merchants are able to process checks over the phone. Another important feature that EMB offers is a paper guarantee. This means businesses can continue to accept and process paper checks without taking on any extra risk. This feature includes verification at the time of the sale to help prevent fraud. In addition, EMB works with high-ticket and high-volume businesses, as well as those with bad credit and those that have been terminated by processors in the past. Though EMB cannot guarantee any approvals, it does promise a quick, simple application process. In addition, EMB has a long history of working with businesses of all sizes, merchants that have been rejected or terminated by other processors, as well as those with no credit or bad credit. Apply now and get approved in as little as 24 hours. This is not ACH! iCheck is a means of electronic check processing that facilitates faster funding on a wider variety of checks. It has fewer restrictions than ACH. This flexibility makes Remote Deposit Capture (iCheck) ideal for many sales environments. All check types can be accepted at Point of Sale or when the consumer is not present. This is the future of check processing! Fast electronic deposit of funds, in as little as 24 hours. Try our new iCheck Service! Our iCheck service is a revolutionary new way to accept check-based payments. Want to see the funds from check sales immediately? It’s quick and easy to get started. Fill out a short application; provide some basic information about yourself, and your business. We’ll fast track your app and get you accepting checks in no time. Can’t wait to see those check deposits in your bank account as soon as the next day? Checks can be accepted at the Point of Sale or when the consumer is not present. This is the future of check processing, and we’re excited to get you set up with your iCheck account! Our check-by-phone service allows merchants to accept and process checks over the phone. It comes with five basic features and a variety of benefits to make the operation of processing checks simple. This service is ideal for many industries, including utilities, bill payment call centers, sales, and customer service. Checks by Web, Checks by Phone, Paper Guarantee, and our new iCheck (instant check processing) solutions are just some of the ways in which we’re making it easier for our merchants to process payments and build successful businesses. This isn’t the archaic ACH electronic check services you’re used to; our services use the latest in check processing technologies. Worried about accepting paper checks? This is where Paper Guarantee comes into play. Paper guarantee is a means by which you can safely accept checks as payment. Paper Guarantee removes the apprehensions that come with accepting checks, by removing the risks. Web-based purchased have skyrocketed. Checks-by-Web is a way for consumers to purchase goods online without a debit or credit card. It provides a safer payment option, and allows you to keep up with the fastest growing industry in the world, eCommerce. While our other services will fit with most businesses, iCheck’s features, ease of use, fast payments, and quick application make it EMB’s premiere check solution. The instant check processing application takes minutes, and requires very little documentation.